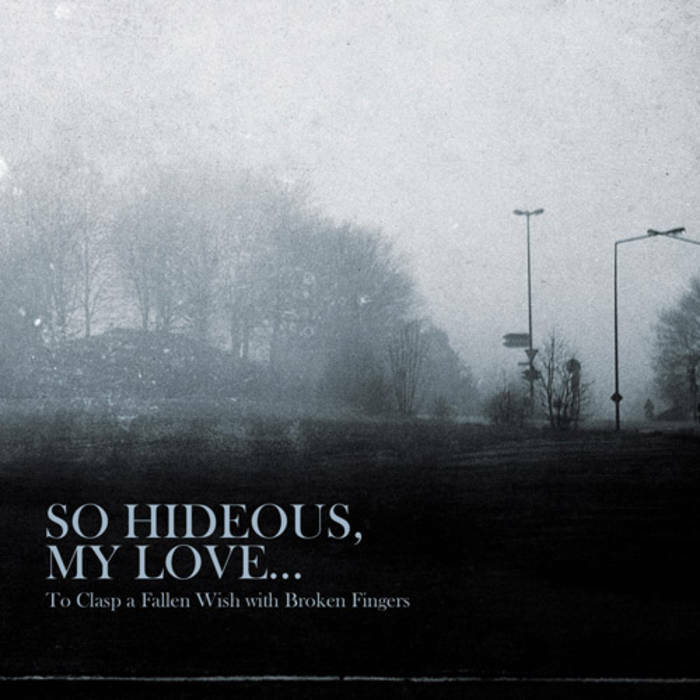 So Hideous My Love are a band from New York that plays a style that I would describe as being post black metal and this is a review of their 2011 album "To Clasp A Fallen Wish With Broken Fingers" which was released by Play The Assassin Records. Rhythm guitars range from slow, mid paced to fast riffs that combine black metal and post rock while the lead guitars are very distorted and melodic sounding. Vocals are mostly high pitched black metal screams, while the lyrics cover dark themes, as for the production it has a very dark and heavy feel to it. In my opinion So Hideous My Love are a very good and original sounding post black metal band and if you are a fan of this style, you should check out this band. RECOMMENDED TRACKS INCLUDE "Handprints Of Glass" and "To Clasp A Fallen Wish With Broken Fingers". RECOMMENDED BUY. Isolation are a band from Germany that started out as being a more depressive black metal band but has evolved into a more black/doom/ experimental rock band with this recording and this is a review of their 2011 album "Closing The Circle" which was released by Eisenwald. Drums range from slow to mid paced drumming with not much in the way of fast playing or blast beats, while the bass playing has a very strong and powerful tone with some heavy riffing being thrown in. Rhythm guitars range from slow to mid paced riffing with a lot of depressive style rock riffing while retaining some black and doom metal influences in the riffs while the lead guitars which are rarely used have a distorted and depressive feel to them, as for the acoustic guitars when they are utilized they use full chords and slow playing to add the the darkness and depression of the music. Vocals are mostly clean singing vocals with some harsh shouting and high pitched black metal screams being thrown in on occasion but it is very rare as well as some spoken word passages, while the lyrics touch on dark and depressive themes, as for the production it has a very powerful and professional sound to it and you can hear all of the musical instruments. In my opinion this is a good album from Isolation and while some of their fans of the more black metal recordings might be disappointed I can still see this album appealing to fans of more experimental gloom rock/metal. RECOMMENDED TRACKS INCLUDE "Never Enough" "Nomad' "Fan The Flames" "May You Fare Very Well". RECOMMENDED BUY. Currently our focus is on writing new material, since we got a great recording opportunity, but I think it is too soon to go into any details. If everything goes as planned, we will hit the studio again somewhere in the mid September. Also, we plan on slightly changing and experimenting with our musical direction. You can still expect black metal, but not (in a way) like our previous releases. 2. How would you describe the musical sound of the new album and what improvements do you feel you have made since the previous demos? You could say, that the old material was “more” black metal orientated, the whole production of the demo is more atmospheric, while the album doesn't have that underground atmospheric sound, instead the sound and music are more focused on power and some of the riffing is kind of death metal orientated as well. In the new release we explore the Soul and Death. 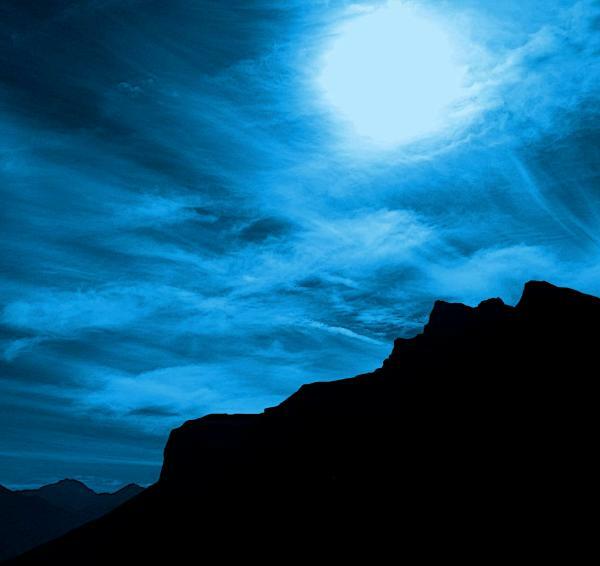 The material world is presented by light and the Soul through darkness. The light enables all to see (meaning the filthy material world), but the darkness enables us to feel and think. 4. Do you have any touring plans for the new release? We had that in mind, but somehow not everything went as planned. We plan on having a few more local shows, and if everything goes well, some abroad shows. We have our minds set on other stuff right now, but still, if a good opportunity comes up our way and we get some invitations we'll be glad to accept the offer if time will allow us. 5.You have a really dark looking logo, who designed it and what are some of the messages that you are trying to bring out with the logo? The concept of the logo was made by the whole band, but our vocalist put it together and transformed it into the digital form. The whole idea was not to make another typical black metal logo, we wanted a logo that would give away the impression that it is trying to tell you something, but then we also want people to have their own impressions, when they see the logo. 6.Do any of the band members have any side projects or is this a full time line-up? There were some short-lived side projects but nothing serious came out. For now, the reactions were really good. But we are still quite a young underground band, so our music hasn't spread that much yet. Like I said before, we are planning on slightly changing our musical style, but I think even the band itself doesn't exactly know yet, in which direction it is going. Somehow we are in an experimental mode. There were some really good ideas that we want to include in our music, but I wouldn't want to reveal too much too early. 9.What are some bands or musical styles that have influenced your music and also what are you listening to nowadays, black metal or non black metal? From the start the main influence were Dissection, Vinterland, Lord Belial, Sacramentum, Satyricon etc. but mostly Swedish black metal. But as time passes, so do our influences. Currently, I think, the biggest impact was done by the Icelandic band Solstafir, Nachtmystium's last two albums and Agalloch. 10.Nowadays we listen to many different music, we still listen to black metal, maybe some of us less than we used to. Other than that our musical taste goes from Alice in Chains to Lady Gaga. There are no boundaries. 11. What role does Occultism play in your music and how would you describe your views on this topic? I don't know if occultism is the right word to describe our spiritual views. In a way, each member has it's own personal view on this topic. We do share some common grounds, but in a nutshell, we all have our own individual opinions on this topic. For the most of us watching series, playing Mass Effect, Starcraft II… computer related mostly. Some of us enjoy nature and farming. Nothing special really. 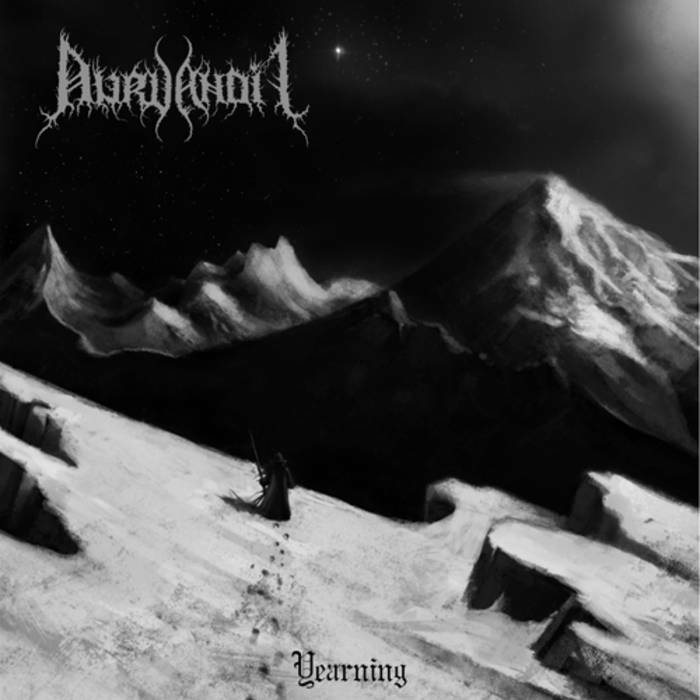 Aurvandil are a one man project from France that plays a pagan form of black metal but much more raw sounding and this is a review of their 2011 album "Yearning" which was released by Eisenwald. Rhythm guitars range from slow, mid paced to fast black metal riffs that are also very dark and raw sounding, while the lead guitars are very distorted and primal sounding black metal leads, as for the acoustic guitars when they are utilized they being a dark feel to the music with some finger picking and full chords. Vocals are mostly high pitched black metal screams, while the lyrics cover dark themes that have somewhat of a nature and pagan feel to them, as for the production it has a very dark and raw sound to it. In my opinion Aurvandil are a very good black metal band that is raw and progressive sounding at times and if you are a fan of this style of black metal, you should check out this band. RECOMMENDED TRACKS INCLUDE "End Of An Age" "I Summon Scorn" and "Gylfi's Journey". RECOMMENDED BUY. 1. Can you tell us a little bit about this project for those that are not familiar with the music? The Crevices Below is a side project of mine which I formed in January 2011. 2. How would you describe the musical sound of the current album? "Below The Crevices" is a mixture of various black metal and doom metal influences. I guess you could say the atmospheric black metal sounds of early Emperor and Limbonic Art, mixed with the doomier parts of Katatonia, Bethlehem and Paradise Lost. 3. What are some of the lyrical topics and subjects the new releae explores? The entire album is lyrically based around the story of an underground king, who rules an underground city. Slowly his paranoia and angst increases as the lack of sun drives him mad. Each song is a step in the gradual decline of a once powerful being. The Crevices Below is a name I chose to mean "what lurks in the cracks of the earth beneath your feet". 5. Currently thwere is only one member in this band are you planning on adding other musicians in the future or is this going to remain a solo project? I don't really have any plans to add further members currently. but it's something which I may consider in the future. I'm keeping my options open at the moment. 6. What is going on with the other projects these days? My main other project is of course Midnight Odyssey. A new double album is set to be released in the coming months on I, Voidhanger Records in Italy. 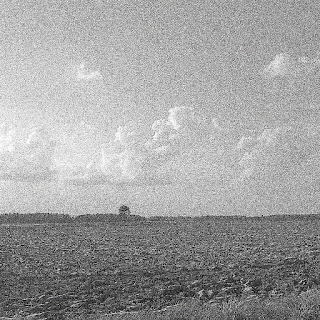 I also have just started a funeral doom project, that is presently only in its infancy. 7. How has your music been recieved by black metal fans worldwide? "Below The Crevices" seems to have been received quite well so far. It's only a month or so since its release, and being a new project, it will take a while for the name to get out there, but I'm currently satisfied with feedback. I have no idea. It's too early to be concentrating on that right now, but I guess I would just like to further refine what I have already begun with this project. I listen to a lot of music. I'm not really that fussy. Black metal and death/doom are my favourites, particularly from the early to mid nineties period. This is when black metal and death/doom were just beginning to branch out, accommodating many different influences. There weren't set rules back then on what you had to do. I don't want to sound like one band, or one style. I want people to be surprised when they hear something on my albums they weren't expecting. The Crevices Below had so many influences for the first album. 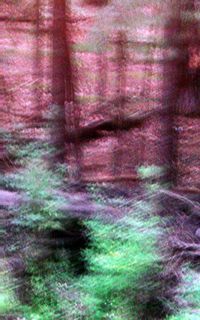 Those which I stated earlier, but also Anathema, Primordial, Septic Flesh, Verdunkeln, Drautran, In The Woods. Currently right now I am listening to Unholy's Trip To Depressive Autumn. 10. Does Occultism play a role in the music? I'm not sure how to answer that. Occultism is a very general term. I don't adhere to any particular belief, and definitely not to any organised religious group. I believe these matters are really personal and individual. No one man has the right answer, no one belief system has the right methods. Personally, satanism has nothing to with my life or my music. I see satan as a Christian construction, and i see Christianity as corrupt. I could say I have more of a pagan style of spiritual belief, but I'm careful not to base these beliefs on creations of outsiders (Christians, Jews, etc). But none of this has anything to do with The Crevices Below. This project is mere fantasy made up in my head, nothing more, nothing less. Apart from music, I have keen interests in history, mythology and art. Inevitably these things creep into my music, so it's kind of all tied in together. I'm never bored. Thank you. I hope you and your readers enjoy the album. It's out now through Nordvis. 1. Uvikra is a Lithuanian one man band, Loikav being the lone member, that generally plays black metal. 2. When listening to your music I noticed the full length was more second wave black metal and the new ep is black/death, what made you decide to experiment with different styles on each release? 2. Afer finishing the first album I thought that its style was something I had done enough, and there wasn't anywhere left to go with it. I wasn't interested in writing anymore music like that with melodic, harmonious riffs, screamed vocals. Instead I wanted to do something uglier and even more straight forward, with chromatic riffs and low vocals. I wouldn't even call it experimenting, it was like a natural progression. 3. On the first album it's mostly about death in various ways, but usually with not a very serious tone. On the EP it's kind of reflective on daily life in general, and very vague. A lot of just writing whatever comes to mind. 4. It's kind of a secret, so can't tell. 5. Currently you are only a solo project, are you planning on adding any members in the future or do you choose to remain solo? 5. I'm interested in adding members to make a proper band, and maybe playing live. I would be the drummer, and would need a bassist, two guitarists, and a vocalist. Or either of the guitarists or bassist could sing. 6. Have you participated in any other bands or is this your first project? 6. Other than some past non-metal projects of my own that are unreleased and fooling around with some friends, this is my first project. 7. It would be nice to properly release my music on a legitimate label, but I don't know which type yet because my music varies in style with different releases, at least so far. 8.On a worldwide level how has your music been recieved by black metal fans that have heard the music so far? 8. I didn't get enough feedback to generalize yet. There's the occasional positive response or negative, but no general consensus. 9. Currently I'm working on a second album which goes in a kind of progressive black/death metal direction. 10. I've been influenced by a lot of the obvious bands that people first listen to when discovering metal, lots of old school death metal and first and second wave black metal, as well as indirect influences from various rock in general. Nowadays I listen to a little bit of lots of stuff, so can't name anything in particular. 11. How would you describe the metal scene in your home country of Lithuania? 11. There's not much of a scene that I know of. There are active bands here and there, and there are some shows in very small clubs in Vilnius, but I don't have contact with any of them personally. 12. They're too insignificant to mention, I guess music is my main interest. 13. Thanks for the interview. Enjoy the music, all of which is out as free downloads at http://uvikra.bandcamp.com . Uvikra are a project from Lithuana that had there full length reviewed by this zine and they go for more of a raw black/death sound on this release and his is a review of their 2011 E.P "Patterns Of Life". Drums range from slow, mid paced to fast drumming with some blast beats, while the bass playing has a very dark tone with riffs that follow the riffing that is coming out of the guitars. Rhythm guitars range from slow, mid paced to fast riffs that mix the most primitive forms of black and death metal, while the lead guitars are old school death metal sounding leads. Vocals are all deep black/death metal growls, while the lyrics cover dark and occult themes, as for the production it has a very dark and raw feel to it. In my opinion Uvikra create some good quality black/death with this e.p and this a lot more different sounding than the full length, and if you are a fan of black/death metal, you should check out this e.p. RECOMMENDED TRACK "The Creator Is The Proudest". RECOMMENDED BUY. Uvikra are a 1 man band from Lithuania that plays a very old school form of 90's black metal on this album and this is a review of their self released debut album. Rhythm guitars range from slow, mid paced to fast raw black metal riffs that contain some of the best elements of second wave black metal and on a couple of songs there is some slow and soft playing that brings an acoustical feel to the music but it is only use for a few seconds, while the lead guitars are very distorted sounding black metal guitar leads. Vocals are all high pitched black metal scrams, while the lyrics cover dark and occult themes, as for the production it has a very dark and raw sound to it. In my opinion Uvikra create some very good second wave black metal with this release and if you are a fan of this style, you should check out this band. RECOMMENDED TRACKS INCLUDE "Ritualistic Preparation" and "Plagued By Death". RECOMMENDED BUY. Peste Noire are a band from France thast plays a very weird from of raw and depressive black metal and this is a review of their 2011 album "L'Ordue a I'etet Pur" which was released by La Menie Herlequin. Drums range from slow, mid paced to fast drumming with some blast beats, while the folk instruments give the music an European folk music feel and at times there is an industrial feel to the music, as for the bass playing it sounds very powerful with a lot of heavy riffing that is influenced by a variety of many different music genres. Rhythm guitars range from slow, mid paced to fast raw and depressive black metal riffs that also take influences from many different forms of music and at times they have a psychedelic feel to them, while the lead guitars are very melodic and skilled black metal leads, as for the acoustic guitars when they are utilized, they bring an avant garde French folk music feel to the music. Vocals are mostly high pitched depressive black metal screams with some occasional clean singing female vocals being used on one song as well as come occasional spoken word passages in addition there are some clean singing male vocals being used on the last song, while the lyrics are written in French and cover Desperation, Ugliness, Nationalism, and Poetry, as for the production it has a very dark, heavy and raw one to it while still being professional enough up to the point where you can hear all of the musical instruments. 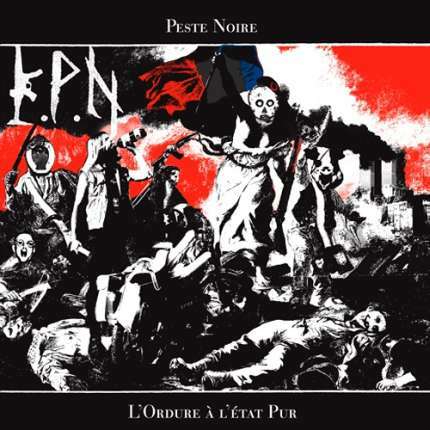 In my opinion Peste Noire are a very good and original sounding depressive black metal band, and if you are looking for something that is different in this genre, you should check out this band. RECOMMENDED TRACKS INCLUDE "Casse,Peches Fractures et Traditions" and "Sale Famine von Vaufoutre". RECOMMENDED BUY. 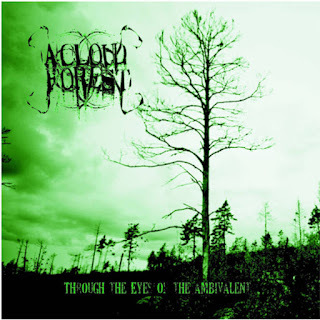 A Cloud Forest are a band from Phoenix, Arizona that has had their previous ep reviewed by this zine and plays an anarchist from of atmospheric black metal and this is a review of their self released 2010 album "Through The Eyes of The Ambivalent". Drums range from slow, midpaced to fast drumming with a good amount of blast beats being used at times, while the keyboards have a very dark atmospheric sound that also brings an ambient feel to the music, as for the bass playing it has a very strong and powerful with some heavy riffing being used. Rhythm guitars range from slow, midpaced to fast black metal riffs that are very raw and melodic sounding and at times the riffing has a doom metal feel to it, while the lead guitars wen they are utilized have a very dark and melodic sound to them, as for the accoustic guitars they bring a very drk and progressive feel to0 the music. Vocals are a mixture of high pitched and distorted black metal screams with some deep growls being thrown in at times and on one song there is some female vocals that re clean singing, while the lyrics cover dark themes, s for the production it has a very dark, raw, and heavy sound to it. 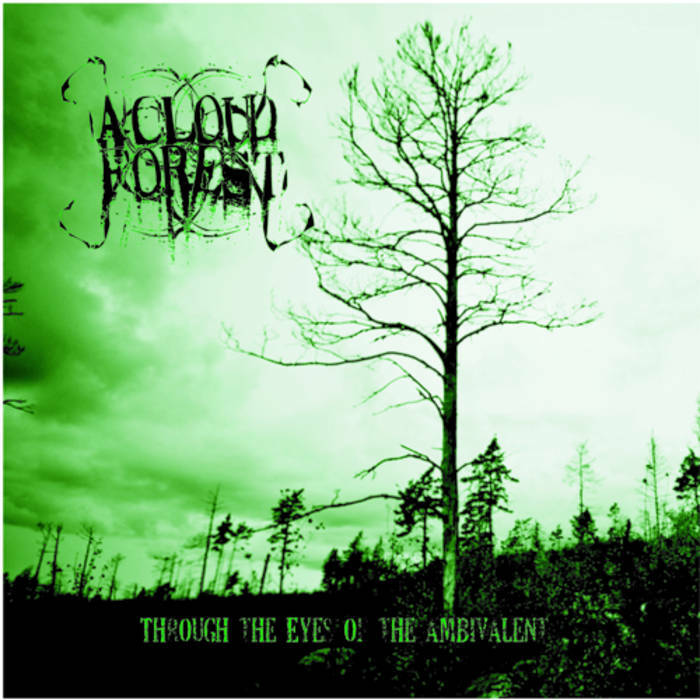 In my opinion this full length album from A Cloud Forest shows a lot of progress from their previous demo, and I can see fans of atmospheric and progressive black metal enjoying this album and it still has a very raw feel to it. RECOMMENDED TRACKS INCLUDE "Blessed With This Curse' and "The Black Steel Of The Night". RECOMMENDED BUY. A Cloud Forest are a 2 man band from Phoenix, Arizona that plays a very atmospheric form of black metal and this is a review of their self released 2010 demo "Do Not Stand At My Grave And Weep". Drums range from midpaced very fast and brutal with alot of blast beats, while the keyboards when they are utilized are very tragic and tmospheric sounding, as for the bass playing it has a very dark tone with riffs that follow the riffing that is coming out of the guitars and at times they sound very powerful. Rhythm guitars range from midpaced to fast raw black metal riffs that also utilize a good amount of melody in ddition the outro has somewhat of a psychedelic feel and there are little to no guitar solos or leads present on this recording. Vocals are mostly high pitched black metal screams mixed in with some deep growls, while the lyrics cover dark themes, as for the production it has a very powerful, heavy and raw sound to it. 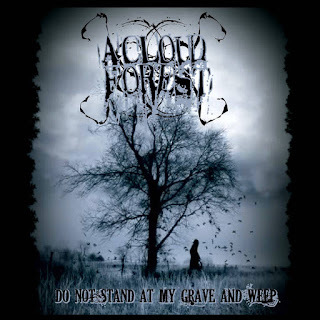 In my opinion A Cloud Forest are a very good raw sounding atmospheric black metal band, and if you are a fan of this style, you should check out this band. RECOMMENDED TRACKS INCLUDE "Black Clouds At Sunset' and "Metamorphosis". RECOMMENDED BUY.